My Early 2017 Credit Card Inventory: Which to Keep and Which to Cancel? There are a lot of macro-trends going on in the travel industry and the points and miles world, and every six months or so I like to take an inventory of the cards that I have and use. There are more category and welcome bonuses than ever, along with more lucrative ways to earn miles, so as a savvy consumer I have plenty of choices. That being said, loyalty programs are also devaluing. Delta had a stealth devaluation recently, and other programs are making it harder to redeem for flights, so the high-level theme is that I’m moving away from co-branded credit cards. Even though many offer perks and may be good for you in your specific situation, I really value transferable points. Recently we upped Amex and Chase points in my valuations because I get incredible value from them. The old model was to transfer, transfer, transfer to airline partners, but now with Centurion’s 50% rebate, I’m essentially getting 2 cents per point in value toward airfare when I purchase flights. And now that airfares globally have stayed low, instead of transferring to airlines it now almost makes more sense to use points to purchase airfare. So that being said, the theme when I went through my cards this year was: When I can earn 5x on airfare with the Amex Platinum, why would I want to spend on an airline card to earn a currency that is likely to be devalued without notice? Instead I could be earning even more flexible Amex and Chase points that I can transfer to partners and also use kind of like cash. So, now more than ever, I made some tough decisions. Yes, I have a lot of credit cards — after all, it’s my job! — but there’s something to be said about spring cleaning and simplifying things. That being said, down the line, if you cancel a card you’re not using, there is a chance with some issuers that you could earn the bonus again. So if I’m not using a card and it’s collecting dust and not providing me value, unfortunately it’s time to go. So this year more than ever I did a spring cleaning, and here are my results. Keep in mind that this post will focus on my personal reasons for adding, canceling or keeping each card. If you’re interested in the best welcome bonuses of the moment, make sure to check out my top card offers post. And don’t forget to try out the CardMatch tool to see if you’re eligible for any elevated welcome offers. 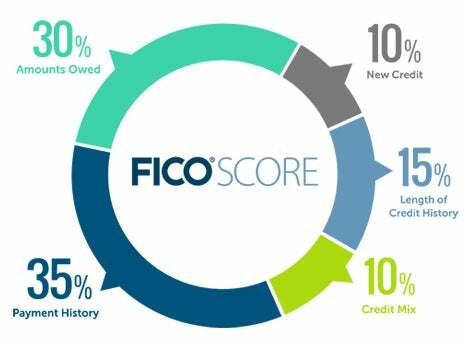 I check my FICO score through Barclaycard, which is a free benefit when you’re a cardholder (for certain cards). I try to check my score at least every couple of weeks. One final note: Keep in mind that my criteria for keeping cards open may differ from yours. I make significant charges on the cards mentioned below for both business and personal expenses, which allows me to meet high spending thresholds to earn perks or credit toward elite status. Remember to weigh your own spending patterns — including which bonus categories align best with your credit card activity — when deciding which cards make the most sense for you. Keep reading for a look at why each card earns a place in my wallet. My take: I’ve held the business version of Amex’s exclusive, invitation-only card since mid-2016, and it continues to earn a place in my wallet thanks to perks like complimentary Delta Platinum Medallion status and a dedicated concierge service. I don’t use this card for bonus-category purchases since other travel rewards cards offer a better return on spending, but I appreciate that it offers me a 50% points rebate on all airfare with any airline, compared to a 30% rebate on just first and business-class fares on any carrier with the Business Platinum (or on economy airfare with your airline of choice). And like the Business Platinum, it also offers a 50% points bonus on purchases of $5,000 or more. Even though the Centurion card’s annual fee is sky-high, due to all my business travel I’m able to earn it back in a matter of flights. My take: I use this card more than pretty much any other in my wallet, thanks to the 3x points it earns me on up to $100,000 spent per year in one of five categories. I select US purchases for advertising in select media (as mentioned above) since our business spends significantly on Facebook advertising. By maxing out the 3x category, I earn 300,000 Membership Rewards points per year, worth a whopping $6,000 based on my valuations. My take: I’ve kept this card open due to benefits like a $200 annual airline rebate and lounge access, but it’s become even more valuable since Amex updated it to offer 1.5x points on purchases over $5,000 and a 35% points rebate on economy airfare with your selected airline or business or first-class airfare purchased with any carrier when you redeem through Amex Travel. And since Amex Travel redemptions count as paid airfare, you’ll still earn miles on your ticket, making this perk even more valuable. Plus, like the personal Amex Platinum, this card got a big update on March 30: you’ll now earn 5x points on airfare and prepaid hotels booked through amextravel.com, and the Priority Pass Select airport lounge membership will now include access for two guests. Amex isn’t raising the annual fee, either, so you’ll get to enjoy these new benefits at the same rate of $450 per year. Verdict: Convert — While the Business Platinum is a more compelling card than ever, I already enjoy its similar perks like the 50% airline rebate through my Business Centurion Card. Plus, it costs $175 per authorized user on this card, compared to $175 for three authorized users on the personal Platinum — a much better deal for me, since I do take advantage of the ability to add AUs like my parents. I’ll be changing my Business Platinum over to another Business Gold Rewards Card. Even though I’m not eligible for a welcome bonus with this conversion, I’ll get 3x on ad spend to earn another 300,000 Amex points. My take: This card offers largely the same benefits as the personal Starwood Amex, with the addition of Sheraton Club access. Both cards give me 2 stay and 5 night credits toward SPG elite status, so by holding this card I’m 10% of the way to Platinum status based on nights or 8% of the way based on stays. And since I have both cards, I’m 20% of the way to Platinum based on nights without stepping foot inside a Starwood property. My take: After Chase came out with the outstanding Sapphire Reserve Card, we noted that issuers like Amex and Citi needed to step up their game with better perks on their premium cards. Well, Amex definitely got the memo, since in October it updated the Amex Platinum Card to offer 5x Membership Rewards points on airfare purchased directly from the airline. Based on my valuations, that equals an outstanding return of 10% percent — making this card an absolute no-brainer for airfare purchases. Thanks to this change, I switched my Premier Rewards Gold Card from American Express over to the Platinum (the PRG offers “just” 3x points on airfare purchased from the airline). While I previously only held the Business Platinum Card, the new 5x bonus category on the personal version makes it worth holding both cards if you don’t have the Centurion card, which offers many of the same benefits. Plus, the 5x points from the personal Platinum card are even more valuable when you also hold the Business Platinum (or Centurion), since you can now redeem them for 2 cents apiece toward airfare — equal to an outstanding 10% return on flight purchases. And that’s not the only update; as of March 30 the Platinum card offers $200 in annual Uber ride credits, 5x points on prepaid hotels booked through Amex Travel, a new metal design and more. The annual fee increased to $550, but thanks to the new perks and bonus categories it’s still worth it for me. Plus, this card also offers a $200 annual airline fee credit, which i use to cover incidental fees like checked baggage and in-flight expenses. Finally, I can add my parents and others as authorized users for a fee of just $175 for up to three AUs per year. The Starwood Amex earns you points toward stays at properties like the recently opened St. Regis Maldives Vommuli Resort. My take: While the launch of the Sapphire Reserve may have been the year’s biggest news in the credit card space, the merger of Marriott and Starwood topped 2016’s loyalty program headlines. You can now link your Marriott Rewards and SPG accounts and transfer points between the two programs (at a rate of 1 Starpoint:3 Marriott Rewards points), which makes the Starwood Amex an even more valuable card than before. While Starpoints top my list of most valuable loyalty currencies, they aren’t the easiest rewards to earn, so earning 1 point per dollar on all spending with this card (or 2x points for Starwood or Marriott purchases) can go a long way in boosting your SPG account balance. Plus, you can use those points to book a variety of solid airline and hotel redemptions when you transfer them to Marriott. Another solid perk is that the card gets me 5 night and 2 stay credits toward Starwood Preferred Guest elite status. Since SPG Platinum requires 50 nights or 25 stays, as a cardholder I’m already 10% of the way there — or 8% if I want to qualify through stays rather than nights. The Alaska Airlines Visa Signature Card offers a great companion fare benefit, but I don’t travel with this carrier very often. My take: I originally decided to add this co-branded card to my wallet because of perks like 3x miles on Alaska purchases and a free checked bag for me and up to six passengers on the same reservation. The card also offers an annual companion fare from $121 ($99, plus taxes and fees from $22) valid for flights booked on alaskaair.com. While this can be a great perk, it doesn’t make much sense for me since I don’t fly Alaska very often and typically don’t travel in the main cabin. There aren’t too many other benefits I’d take advantage of, especially since the Amex Platinum is my go-to card for purchases with Alaska and all other carriers thanks to the 5x points it now offers on airfare. My take: This card — and three other Aviator options — were made available to US Airways MasterCard holders when that airline merged with American a few years ago. I’ve held the highest-tier option, the AAdvantage Aviator Silver, since then. In addition to earning me 3x miles on American purchases and a baggage fee waiver for me and up to eight travel companions, this card let me earn elite-qualifying miles (EQMs) toward elite status by meeting certain spending thresholds. However, I’m more and more moving away from airline elite status due to frequent flyer program devaluations and the superior value I get from transferable points. Instead of earning miles through a co-branded airline credit card, I’m better off earning Starpoints with the Starwood Amex and transferring them to American at a 1:1 ratio and getting a 5,000-mile bonus for every 20,000 points I transfer. My take: This card is great for covering travel expenses like B&B stays and even private jets, because rather than limiting you to a set of transfer partners, the Arrival Plus lets you use the miles you earn through spending to wipe charges from your statement. Plus, every time you redeem miles toward a statement credit, you get a 5% rebate, which equates to a 2.11% return. That’s a better return than what I get with the Capital One Venture Rewards Credit Card, but given the large amount I spend on miscellaneous travel purchases, it’s worth me holding both cards. Mint is my favorite option for domestic travel, and the JetBlue Plus Card earns me points toward award flights in this premium cabin. My take: JetBlue’s Mint is my favorite domestic business class, so I travel with the carrier multiple times a year. Though this card offers a generous 6x bonus on JetBlue purchases, I don’t use it for this spending, since the Amex Platinum‘s 5x bonus on airfare — paired with the ability to redeem points for 2 cents apiece toward Mint tickets and other airfare — is more lucrative. Instead, I keep it open since I can earn Mosaic status when I spend $50,000 on the card in a year. I’ve decided to close the NBA Amex card. My take: This card earns 3 points per dollar on NBA ticket purchases, and it’s especially lucrative during NBA All-Star Weekend and the two weeks of the NBA Finals, when cardholders earn 5 points per dollar on all purchases. Still, keep in mind that the 5x earning rate is capped at $5,000 per period (so for the All-Star Weekend and for the two weeks of the Finals). Given that cap, I’m opting to close this card — I wanted to spend a lot more to maximize the bonus, but unfortunately that wasn’t possible. My take: I decided to switch my Capital One Quicksilver Cash Rewards Credit Card back to the Capital One Venture since you can no longer get 20% off Uber rides with a Quicksilver card. While Quicksilver cardholders can now get every 10th Uber ride free and the Quicksilver Cash Rewards Card does offer 1.5% back on all purchases, those weren’t reasons enough for me to keep the card. With the Capital One Venture Rewards Card, I get 2 miles on all spending plus 10 miles per dollar spent on bookings through Hotels.com/venture and lots of flexibility for redeeming those rewards, as I do with the Barclaycard Arrival Plus. I keep both due to my high level of travel spending. My take: I use this card to get 5 points per dollar on the first $50,000 spent in combined purchases on office supplies and phone, internet and cable TV services each account anniversary year. It also earns me 2x points on the first $50,000 spent in combined purchases at gas stations and hotel accommodations (when purchased directly from the hotel) each account anniversary year. Since I can earn 5x Ultimate Rewards points on office supplies with this card, I decided to cancel the Ink Plus. My take: This was the first Ink Bold card I opened — it came with a “Chase Exclusives” offer where I got 20% bonus points on all spending each year. This card no longer features the 5x and 2x bonus categories, so this annual rewards bonus isn’t as lucrative as what I’ll get just by using the Chase Freedom Unlimited Card for everyday, non-bonus spending (1.5x points per dollar). My take: Chase launched this card back in November, and the 3x points it earns on up to $150,000 spent on travel, shipping, internet, cable and phone services and social media and search engine advertising makes it a great fit for me. I spend a lot on online advertising for my business, so I’ll easily be able to to meet the $150,000 cap and earn 450,000 Ultimate Rewards points — worth $9,450 — in the process. My take: With the introduction of the Ink Business Preferred, the Ink Plus Business Card became unavailable for new sign-ups — and it also became a less compelling card for me. I don’t spend enough on office supplies to make the Ink Plus’ 5x bonus category worth it; the Ink Business Preferred makes more sense for me since I can earn 3x points on ad spend, and I still have an Ink Business Bold Card to maximize the same 5x categories offered by the Ink Plus. My take: The British Airways Executive Club isn’t as valuable as it used to be, and I don’t take advantage of its benefits like a Travel Together Ticket when I spend $30,000 on the card in a calendar year, so it’s not worth keeping this card open, though I may consider getting it again in the future. My take: This cash-back card has rotating quarterly bonus categories, letting me earn 5x Ultimate Rewards points on up to $1,500 in eligible purchases, such as gas stations and local commuter transportation. I’m able to redeem my rewards as Ultimate Rewards points rather than just cash back since I also hold the Chase Sapphire Reserve and Ink Business Preferred. My take: Since I got the Sapphire Reserve, also holding on to the Sapphire Preferred just didn’t make sense for me. Instead of closing the card and the account completely, I downgraded the Preferred to the Freedom Unlimited — an everyday cash back card with no annual fee. It earns 1.5% cash back/1.5x points on all purchases, this card is a great pick for non-bonus category spending — especially now that I value Ultimate Rewards points at 2.2 cents apiece, meaning I get a return of 3.3% with this card. As with the Chase Freedom, because I hold a premium Ultimate Rewards-earning card such as the Reserve, I can redeem my rewards from the Freedom Unlimited as points rather than just cash back. And given that the Ultimate Rewards program includes some great transfer partners, I’m always happy to boost my points balance. The Sapphire Reserve is one of the most frequently used cards in my wallet. My take: When the Chase Sapphire Reserve launched back in August, it changed the premium travel rewards card space by putting its competitors to shame with a great selection of benefits. Not only does it earn 3 Ultimate Rewards points per dollar on all dining and travel expenses — equal to an outstanding 6.6% return based on my valuations — but it comes with a $300 annual travel credit that’s good for a wide variety of travel purchases. I use this card for a wide variety of purchases; suffice it to say I’m thankful I was finally able to get approved after jumping through a few hoops! My take: I like that this card comes with complimentary Discoverist status in the recently launched World of Hyatt program and a free night at a Category 1-4 property each year after your cardmember anniversary. That’s not even mentioning the extremely valuable sign-up bonus of two free nights at any Hyatt in the world, which can be worth hundreds of dollars if you redeem them at an expensive like the Park Hyatt Sydney. You’ll also be able to reach the higher-tier Explorist status by spending $50,000 on the card in a calendar year. I wish you could reach the top-tier Globalist status through spending — especially since I’m not sure I’ll requalify next year now that the requirements are much higher — but it’s nice to have the Explorist option if you won’t be able to qualify based on nights or points alone. The free night from the IHG Rewards Club Select Card can be used at expensive properties like the InterContinental Le Moana Bora Bora. My take: This card offers some great benefits, especially considering the relatively low annual fee. I keep it open for the automatic Platinum Elite status, 10% rebate on points redemptions and annual free cardmembership anniversary night. Since the annual free night can be used at any IHG property, it can get you hundreds of dollars in value if you choose to use it at an expensive hotel in the InterContinental brand, such as the locations in Hong Kong and Sydney. This card also offers 5x points on IHG purchases and 2x points at gas stations, grocery stores and restaurants, but there are more lucrative card options for these purchases. My take: I got this card because I’m a Chase Private Client customer and I was invited to sign up. The Palladium Card is a bit light on perks — I earn 2x points on travel and I get United Club access — so it’s no longer worth keeping it open. While the card does offer 35,000 points when you spend $100,000 annually, I’d be better off charging that amount to the Freedom Unlimited to earn a 3.3% return. However, it did save the day by covering a damaged piece of art; I submitted a claim and the card paid quickly and in full. The Ritz-Carlton Rewards Card includes great perks like three Club Level upgrades per year. Image courtesy of the Ritz-Carlton Kapalua. My take: This is another card that got some nice updates in 2016. In addition to adding a new sign-up (currently two free nights at a Tier 1-4 Ritz-Carlton property), the card now offers Priority Pass Select membership, an application fee credit for Global Entry and Visa Infinite perks such as a $100 discount on domestic round-trip coach airfare. Over the past year or so, I’ve started staying at more Ritz-Carlton hotels, so I can definitely maximize perks like three annual upgrades to the Club Level on paid stays of up to seven nights. One of the main reasons I’m keeping this card is that it gets me access to the amazing Ritz Grand Cayman Cookout experience. I’m reserving the right to cancel this card (and I think I might in the not-too-distant future), as I don’t use it much for spend, but I do like the $300 in annual travel credit. My take: I keep this card open for the expanded award availability it offers, which makes it easier to redeem my United miles. That’s pretty much the main draw for me; airline elite status isn’t a priority for me now, so I don’t need to spend $25,000 on the card in a calendar year to get the elite-qualifying dollar requirements waived for status (up to the Platinum tier). My take: I previously kept this card open due to the the ability to earn 10,000 EQMs by spending $40,000 on the card in a year. But now that I’m no longer on the airline elite status hamster wheel, this card has lost its appeal for me. The other main draw is that this card offers Admirals Club membership for the cardholder and authorized users — a huge perk for some, but I don’t value the lounge so it’s not important to me. My take: I get automatic Hilton Honors Diamond status through the Business Centurion Card (better than the Gold status offered with the Reserve), but I keep this card open due to the one free weekend night I get after each cardmembership anniversary when I spend $10,000 on the card in a year. I maximize this perk by redeeming the free night at a higher-tier Hilton hotel, so I get far more value than the $95 I pay each year to keep it open. And while I don’t need to take advantage of this perk, cardholders can earn Diamond status by charging at least $40,000 in purchases in a calendar year. The Citi Prestige’s 4th Night Free benefit is great for expensive properties like the Amanyara in Turks & Caicos. Image courtesy of the resort. My take: While other cards added benefits in 2016, the Citi Prestige unfortunately pulled back on perks — though the negative updates won’t go into effect until July 23, 2017. On that date, you’ll no longer be able to get 1.6 cents per point for American Airlines redemptions or 1.33 cents per point when you redeem for trips on other carriers. Citi’s also eliminating the annual three rounds of golf benefit and Admirals Club access on that date, in addition to tweaking the way it calculates the 4th Night Free perk. Despite these changes, I’ll still keep the Citi Prestige thanks to the amazing value I get from the 4th Night Free benefit. Even once Citi starts calculating it based on the average nightly rate and no longer includes taxes starting this July, I’ll still be able to save hundreds — if not thousands — when I book expensive hotel stays through the Citi travel concierge. This card also offers an annual $250 air travel credit which I can use toward everything from airfare to upgrades to baggage fees. My take: This card offers some solid bonus categories, including 3x on travel including gas and 2x on dining out and entertainment. Plus, the Citi ThankYou Rewards program now has a respectable selection of transfer partners including Flying Blue, Hilton, Singapore Airlines and Qantas. However, the Citi Premier doesn’t offer any essential perks that I’m not getting through other cards like the Citi Prestige, so I’ve opted to cancel it. My take: Club Carlson isn’t my hotel program of choice, and properties in its portfolio like Radisson Blus tend to be on the cheap side to begin with so I don’t need to bank a ton of points here. I no longer hold this card because of the dumb foreign transaction fees it charges. Since last taking inventory in the summer, the credit card space has seen some great updates — especially with the Amex Platinum adding 5x bonus categories for airfare hotels and the Business Platinum adding a 35% points rebate on airfare booked through Amex Travel in addition to introducing new bonus categories. In addition to opening the Amex Platinum, I’ve decided to cancel or convert a handful of cards — especially airline co-brands — that weren’t pulling their weigh in terms of benefits and return on spending. Now more than ever, my focus is on earning transferable points from Amex, Chase and Citi rather than rewards within specific airline or hotel loyalty programs. Stay tuned… I’ll be back with another update in a few months!